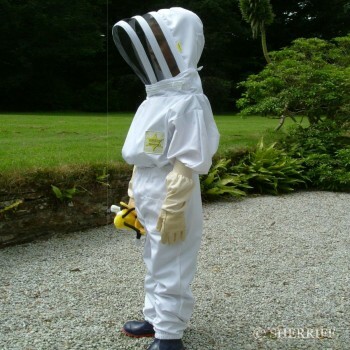 Categories: B36 Beepro - Net Lined Polycotton Suit, Bee Suits. MADE to ORDER exclusively by BJ Sherriff in Falmouth, Cornwall, England. 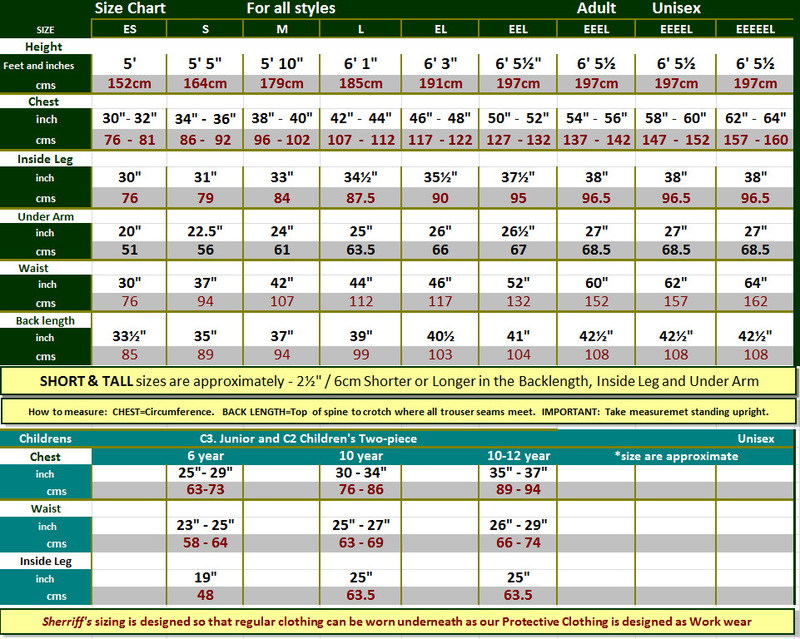 NB the current lead time for tailor made is two to three weeks from date of order. 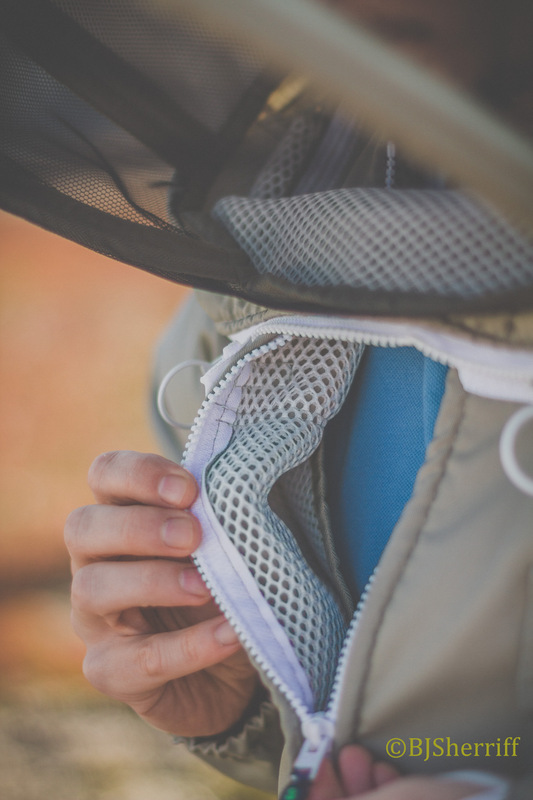 The thickness of the new liner net holds the outer layer of the garment more than the depth of an average bee sting away from the body. 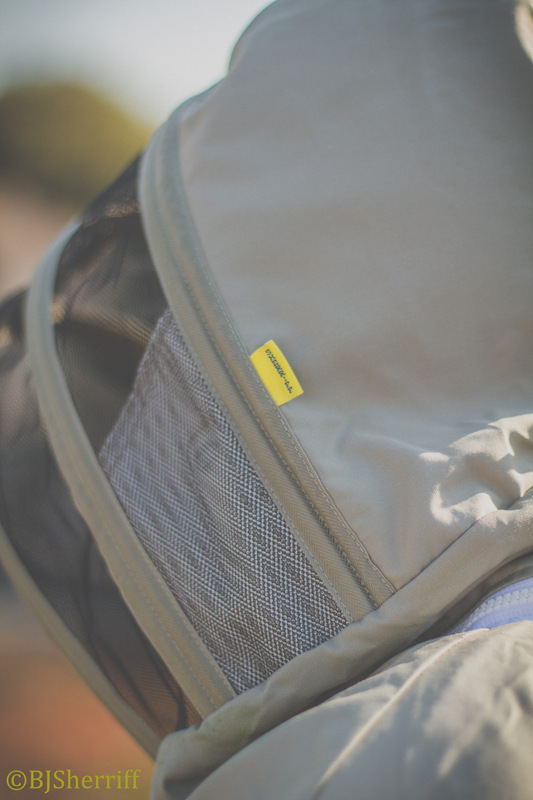 The lining is like a ‘double skin’ throughout the whole garment offering extremely good protection. 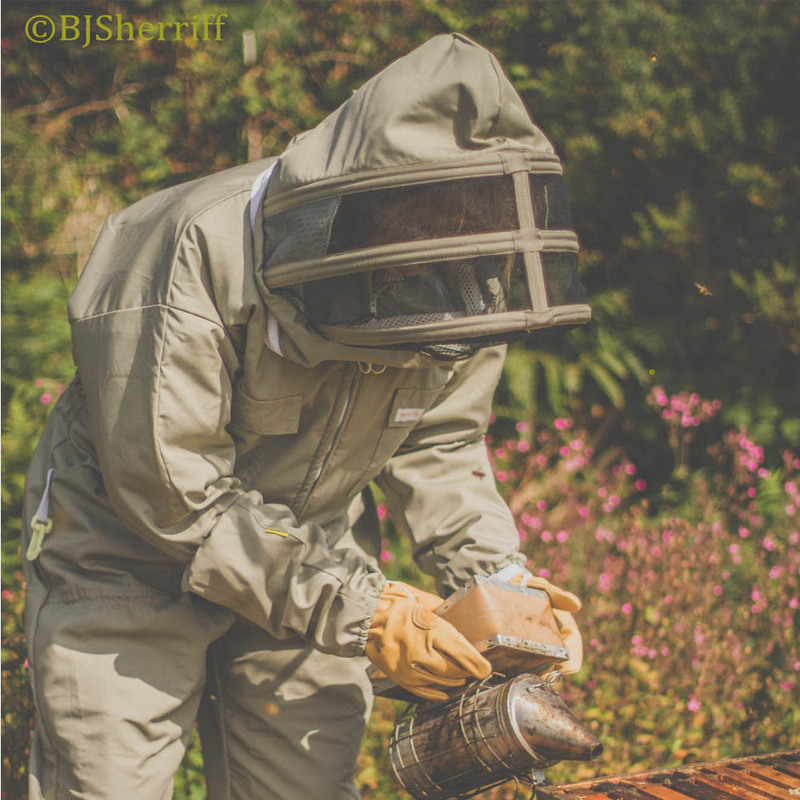 BJ Sherriff created the BeePro suit for use where the wearer is extra sensitive or allergic to bee stings and offers the best in protection where a higher level of security is required. NB. 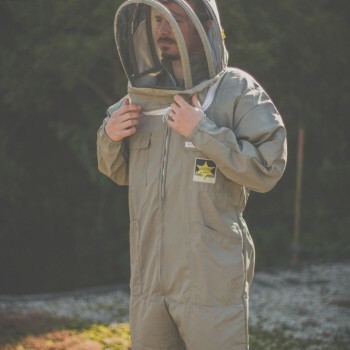 This garment is only necessary if you are known to be sensitive/allergic to bee stings and perhaps wanting to continue beekeeping whilst on a desensitisation course. A removable bar can be easily inserted in the top of the hood to keep the veil rigid and away from the face. 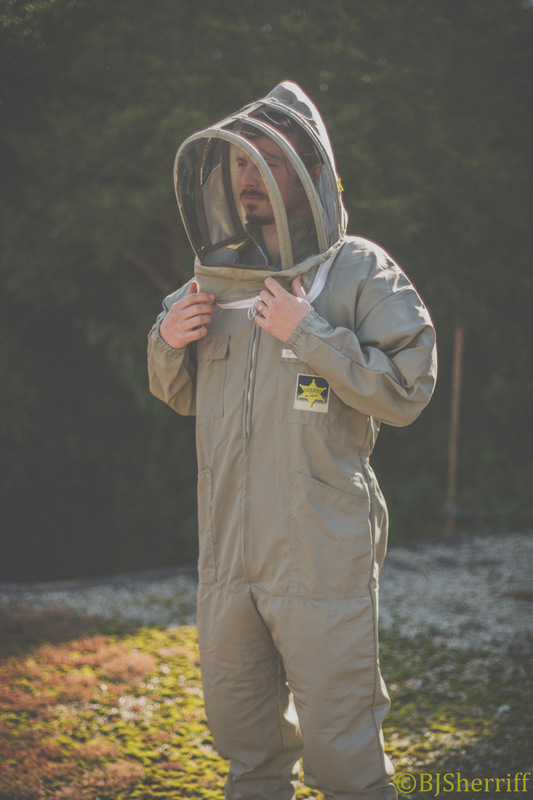 Our BeePro is an upgraded version of our ever popular quality LongLife suit the S36.Apiarist bee suit which offers the beekeeper extremely good overall protection. 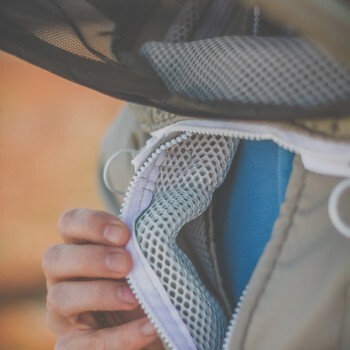 A well made bee suit when treated with care and if wash care instructions are followed will serve the wearer for many years. 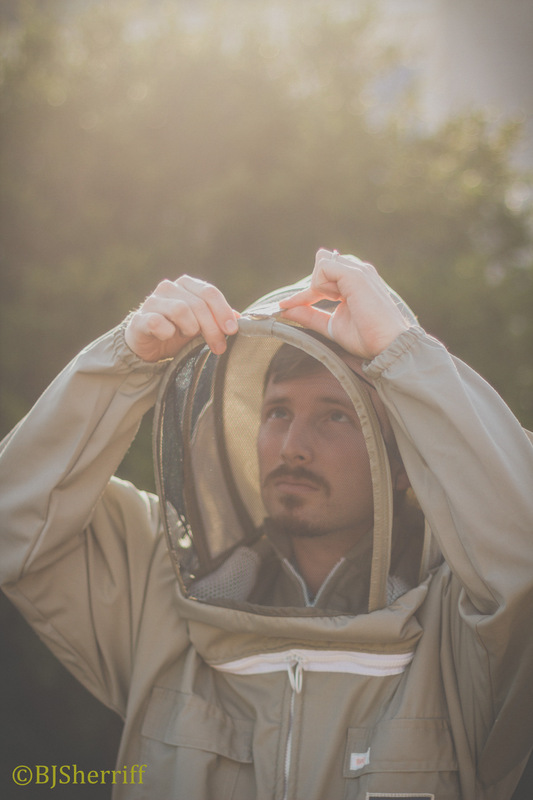 Fully tested in apiaries at home and abroad. 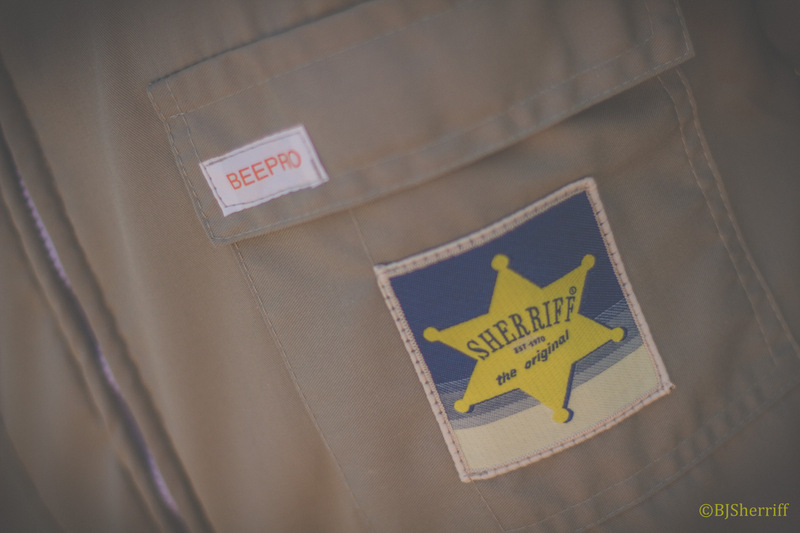 Our high specification BeePro suit is individually made and you may be asked to complete our special measurement form. General clothing should be worn under this suit which should not be worn on bare skin. Protective foot wear , wellingtons or walking boots with ankle protectors should be worn such as our APZ or APV.spats/gaiters. 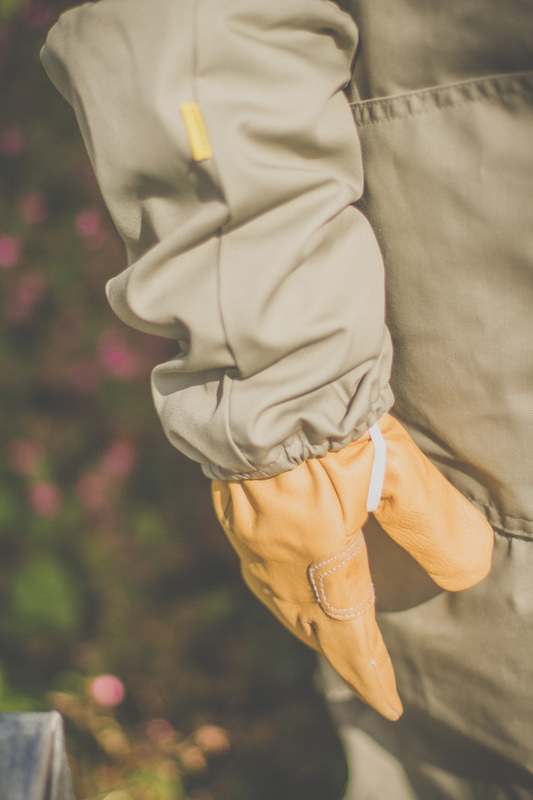 Protective gloves shuld be worn with this suit – we recommend GL3. Washable leather or GL6. 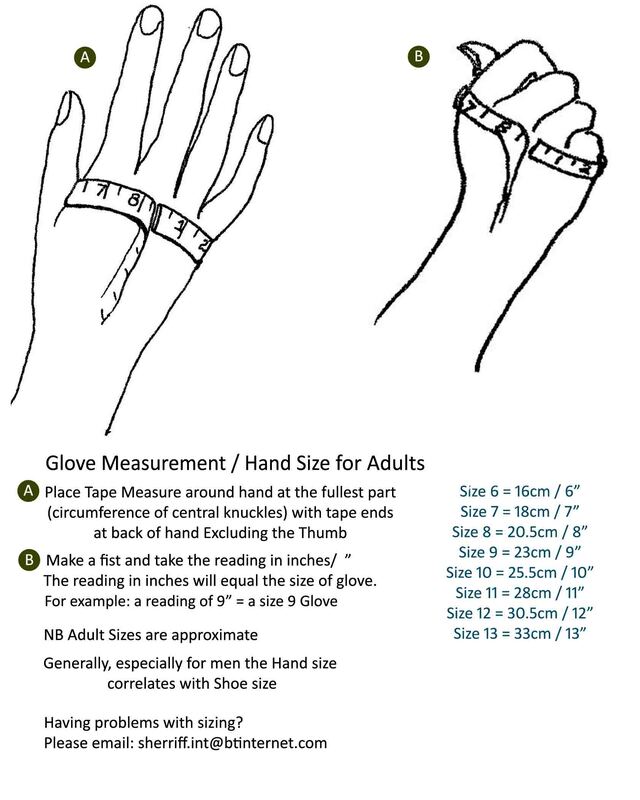 Washable leather gloves with long gauntlet or BGL. Blue latex gloves with gauntlet. 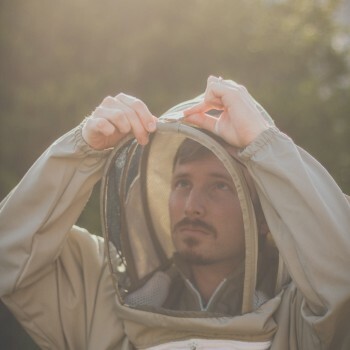 Veil: B J Sherriff’s unique ClearView mesh for exceptional vision and with unique side veil protection. 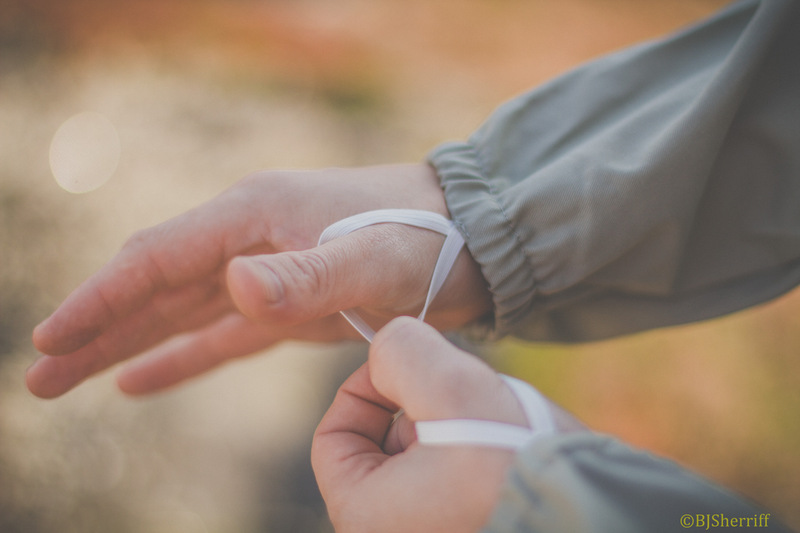 Thumb loop at wrist to hold cuff in place when pulling on gloves. 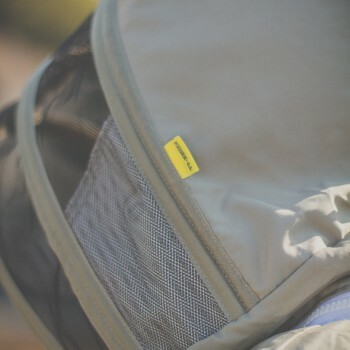 Responsibly manufactured solely by B J Sherriff in Cornwall, England using ethically sourced material and components. 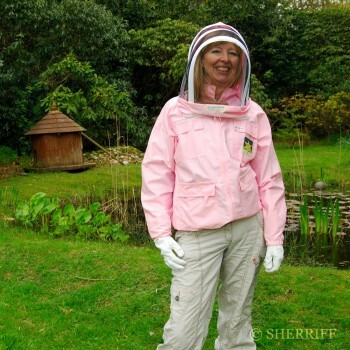 NB This garment is supplied solely as work wear for beekeeping or pest control. 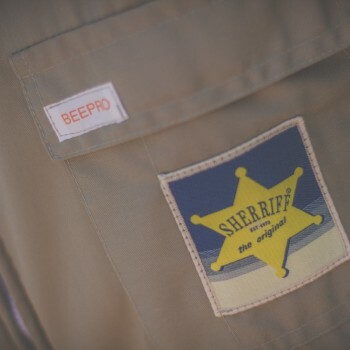 No responsibility can be taken by B J Sherriff should you receive a flying insect sting(s) whilst wearing this product. 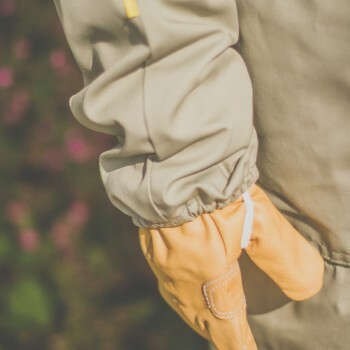 We do not guarantee that you will not receive a sting whilst wearing the BeePro and therefore it is the wearers responsibility to ensure adequate clothing is worn underneath, along with purpose made suitable thickness gloves and footwear and care should be taken when working with bees, wasps or other flying insects at all times. 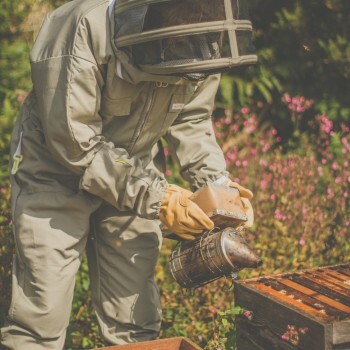 Take sensible precautions – do not go out beekeeping alone and seek other advice on best times to visit your bees, avoid strong smelling perfumes, after shave and scented hair or laundry products. 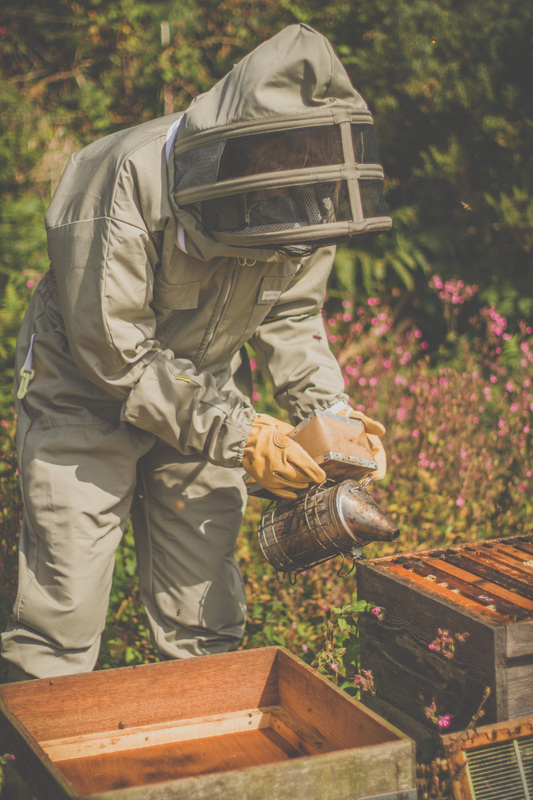 Avoid spicy foods and garlic before visiting your bees. 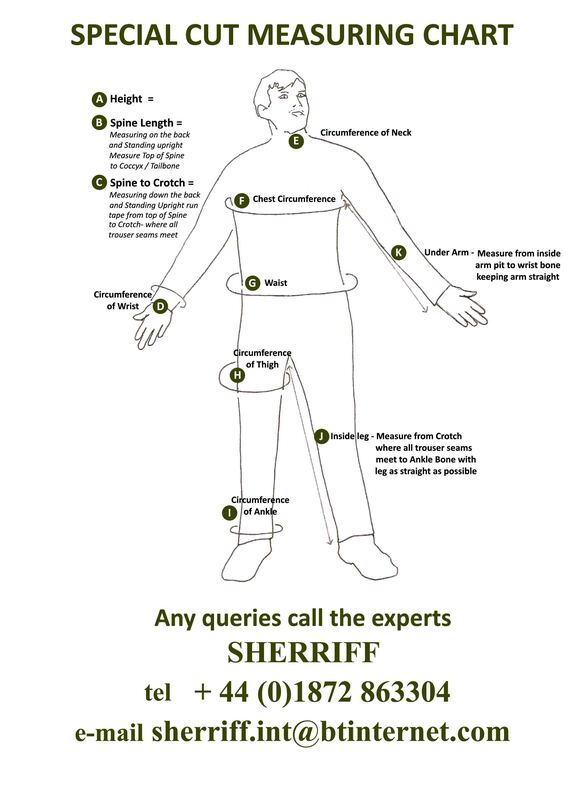 If you are allergic or feel that you are becoming more sensitive to stings, you are advised to check with your GP or Health Practitioner as to suitable medication you should carry with you in case of an allergic reaction such as an *Epipen (or similar automatic injection) for acute allergic reactions.